Adobe Reader is a fantastic tool to study electronic copies of Kappeler’s books. To use this free software, you must first download Adobe reader to your computer or device. 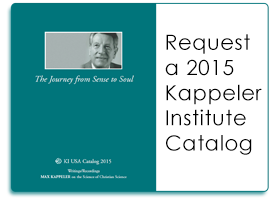 Navigate to where your Kappeler books are located. Click on the book you wish to open. If the books opens in another program, go back and try a) right click, b) Open With, and c) choose Adobe Reader. To Highlight Text: Select the text you wish to highlight, then click the “pen/T” icon (top right). To make a Note to yourself, click the “sticky note” icon (looks like a cartoon voice bubble). Once you make a note it can be moved around the page to where you want it. You can also Search the text for keywords! Click on Edit, then Advanced Search. Type in a keyword, and EVERY INSTANCE of that word in the text will pop up in the left column. No more concordances! Experiment with the other icons. You might click on View, then Page Display, to see what kind of reading format works best for you. * NOTE: This process has many variables, and will change as Reader, browser, and operating system software changes. Our apologies if this process is no longer valid or does not work on your computer/device.